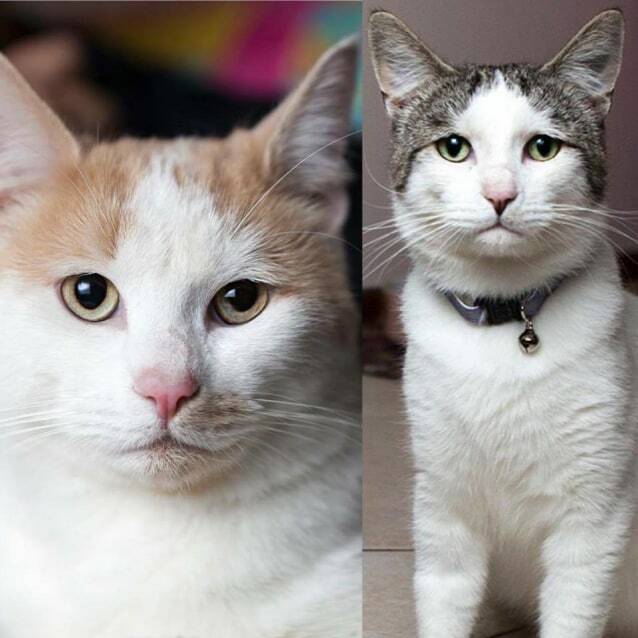 Buddy and Bambi are a bonded pair who came into care because their owner became unwell. These two boys are very sweet and Buddy is the more outgoing, but once Bambi settles in he is a sweet dear boy who loves his head scratched. Buddy and Bambi get on very well with each other and are surrounded with other cats. Buddy loves cuddles and will climb all over you. Bambi, when he is settled, loves to lounge and have a head tickle. Both boys love their wet food morning and night, and biscuits throughout the day. Buddy loves his food more and performs until food is given. 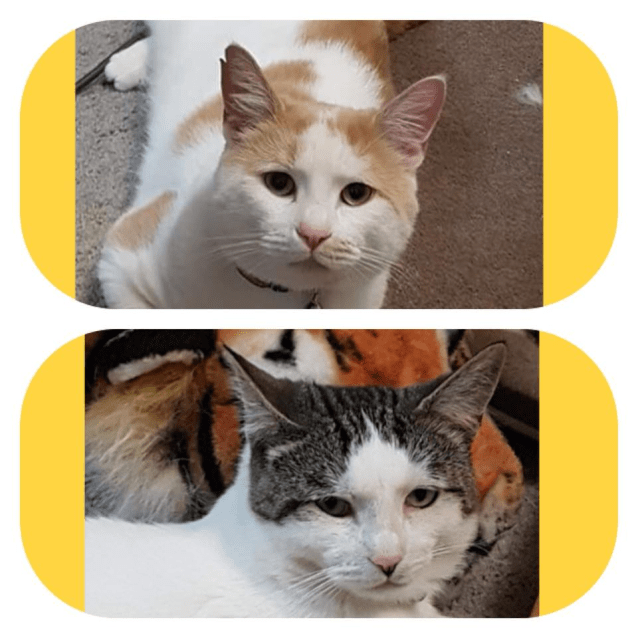 These two boys would make a great companion to any home.